FREE Reach Floss w/ New Coupon! Head over here to get a $1 off Reach coupon. The 55yd floss is on sale this week at Walgreens for $0.99 this week, making them free! 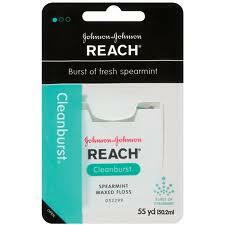 The floss is also regularly priced around $1 at Target and Walmart, making them super cheap or free as well.